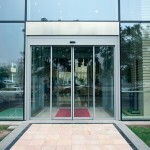 We offer an extensive range of automatic sliding doors that will compliment any building new or old. For more details on each individual product please click on the links below. 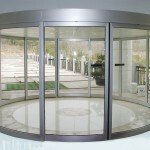 Curved Sliding Door Our Automatic Curved Sliding Door is designed for building applications that would like the aesthetic rounded look of a revolving door but have the requirement to provide disabled access within a limited space of the entry area. Standard Automatic Sliding Door Our Standard Automatic Sliding Door is renowned as a high quality, design engineered, reliable automatic sliding door system. 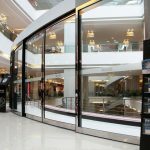 Through years of continued development, the KS1000 Standard Automatic Sliding Door design has proven to be a popular choice for end user clients, specifiers and shop fitters as a thoroughly tested, low noise, safe automatic sliding door system. Slim Profile Automatic Sliding Door Our Slim Profile Automatic Sliding Door is the low profile derivative of our renowned standard sliding door mechanism. Just because it is slimmer, quality or reliable has not been compromised. It has been designed and engineered with the same attention to detail and has proved itself as a reliable automatic sliding door system. 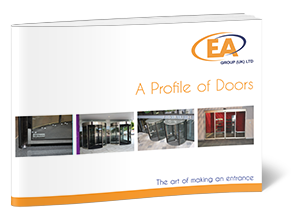 EA Group pride themselves in being a market leader in not only supply and installation of Automatic Sliding Doors but also the after sales customer care that so often gets forgotten. At EA we believe that from the first point of sales contact to the ongoing servicing of the supply and installed product is a jigsaw that fits seamlessly together.